Harun YÜKSEL Marketing Import & Export Co.
Dimensions	: 215 x 65 x 123 x 50 mm. · Facing bricks are shipped on pallet. They should be protected from external effects in the stock area. 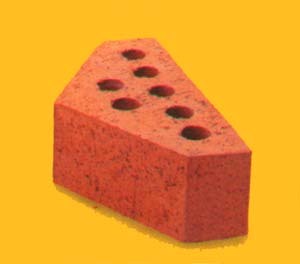 · To obtain a homogeneous colori pick facing bricks from different pallets at rondom during laying. · In cold and wet weather, protect the wal lfrom external effects. 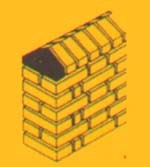 · During application, prevent mortar smearing on the facing bricks. · When mixing the mortar use portland cement, prewashed sand and small amount of water. Do not use lime. · Facing Bricks are timeless and ageless. They don't need remodeling. · Environment friendly and has excellent esthetic features of a natural product. · Due to long lasting life, it has many advantages compared to other facing materials. · Use of facing bricks eliminate the surface disorders caused during the different phases of construction. All information on these pages are copyrighted. Best viewed with Internet Explorer 5.0 at 800*600.